In 1907, the Imperial Chinese Navy proposed a new building program to provide three regional fleets, each built around a new modern battleship. Two years later a naval commission headed by the Regent's brother, Prince Tsai-hsun, recommended a fleet of eight dreadnoughts and 20 cruisers plus supporting vessels, and began soliciting bids from shipyards around the world. China never built that fleet, but that doesn’t stop you from leading it into battle against the Japanese imperialists. Great War at Sea: Rise of the Dragon presents the Chinese line of battle as proposed by Prince Tsai-hsun, made up of ships built in Germany, Britain, Japan, Austria-Hungary, Italy and the United States. The Chinese have nine dreadnought battleships: the eight new ships proposed by the Prince, plus the former Brazilian Rio de Janeiro. Plus the twenty proposed cruisers, and the destroyers, mine craft, gunboats and torpedo boats that made up the rest of the program. Thirty-five new scenarios send this fleet into action against the Japanese in 1915, resisting Japan’s odious demands for control of Chinese ports, railways and mines. The Japanese have countered the Chinese buildup with additional new ships of their own, foregoing the reconstruction of captured Russian prizes to invest instead in additional new battleships and cruisers, including the small battle cruisers proposed in 1905. 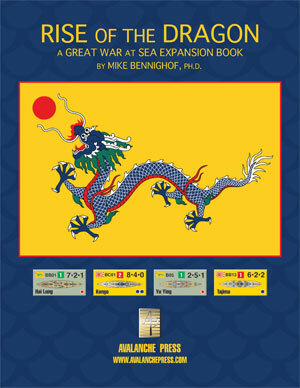 Rise of the Dragon is a supplement for the Great War at Sea series, based on battles that never happened. 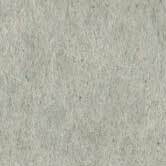 It is not a complete game: Ownership of Russo-Japanese War (and only Russo-Japanese War) is necessary to play all of the 35 scenarios included. Rise of the Dragon includes 155 die-cut and mounted playing pieces: 75 “long” pieces representing major warships and 80 square ones representing smaller craft and fleet markers.